The book is about elements of self-esteem and what role it plays in humanity. The mission of the book is to empower the reader to transform problems and conflicts into a means of promoting respect , freedom and equality for self and all others. The book takes a close examination on why we think the way we think. 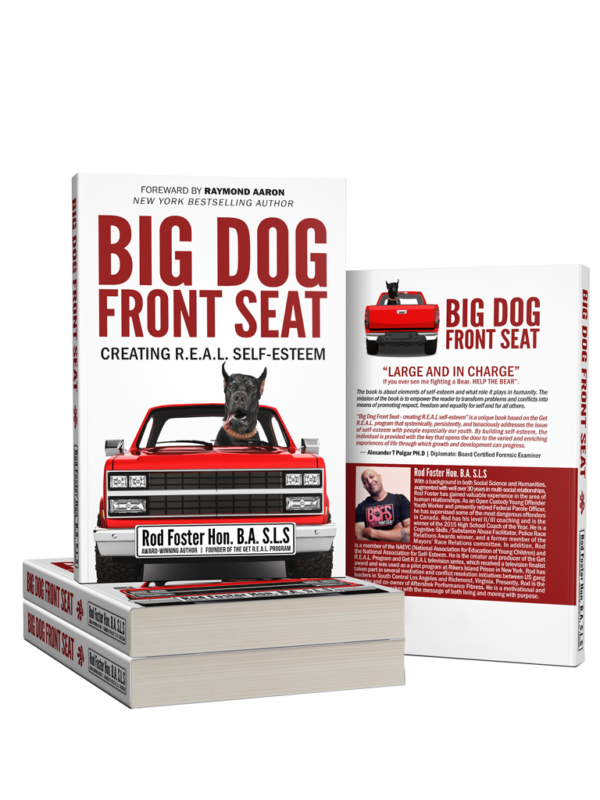 Big Dog Front Seat challenges the mundane, the norm and the origin of self-esteem. The book introduces us to Get R.E.A.L (Responsible, Effective, Affirmed, Learning ) as the foundation. It is time to stop making excuses and blaming others and sitting in the back seat. It is time to become the Big Dog in the Front Seat of life. Anxiety, depression, addiction, abuse, bullying, racism, sexism, elitism and lack of motivation and many more behavioral traits are by-products of the esteem of our self. The book takes the reader through an examination of how we process the world.